I notice some serious non lethal weapons are available now. That is actually welcome and can be valuable even on the battlefield rather than only crowd control. Particularly been able to blind oncoming threats. This has long been desirable. a temporarily blinded opponent is a liability to the opponent and way more demoralizing than a simple death which can inspires a hyperactive revenge. However no one has really seen the laser gun yet mounted on a gravity spaceship.. The Soviets exploded their first nuclear weapon in 1949. China revealed plans for its own stealth bomber last year. But there are still some weapons the rest of the world doesn't have. Weapons like the MQ9 Reaper Drone, the Laser Avenger and the MAARS Robot give U.S. troops the advantage on any battlefield around the world. 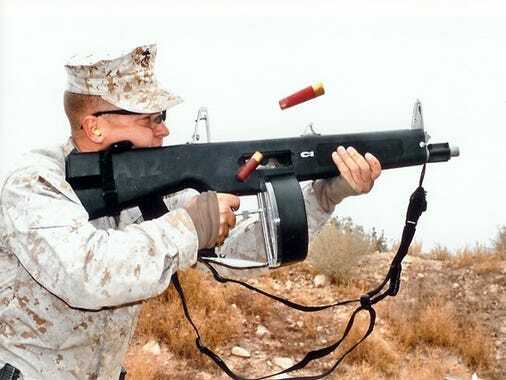 Some of these weapons have been around for several years but were recently modified, and some are still in production.